Editor’s Note: Winter is upon us but that doesn’t mean we have to stop cycling. Our Riding Gravel contributors, Grannygear and MG will be giving us the lowdown on some gear we have been sent that will allow you to stay warm and meet your Winter gravel riding needs. 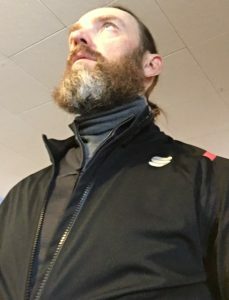 Next up in our Winter Wear Review is a Sportful cycling gear review from MG.
MG in his BodyFit Pro thermal jersey and Fiandre Ultimate 2 WS jacket, and Castelli’s Flanders Warm neck warmer/base layer (review to come). Here in the Midwest, having the right gear for winter cycling is the difference between truly enjoying rides and simply suffering through them. And while some cyclists simply hide indoors when the temps take a dive, I enjoy the fresh snow and ice, which add to my familiar routes. As such, I’m always on the lookout for gear that makes my winter cycling adventures more enjoyable. Based in Italy, Sportful sportswear may not be the first name US-based riders think of when it comes to cycling apparel, but perhaps it should. You’ve heard of a guy named Peter Sagan, right? He wears Sportful kits when he rides, and honestly, that alone was enough to peak my interest in trying out their winter kits when the opportunity materialized. TOTAL COMFORT – THE NAME SAYS IT ALL CONCEPT: Featuring a new cut and materials, the is designed and built for those who are looking for a comfortable winter tight with an extremely comfortable seat pad without sacrificing functionality and performance. The reflective dot pattern on the back of the calves is a great visibility enhancer. Sportful wasn’t joking when they chose the name for the Total Comfort bib tights. They’re impressive. 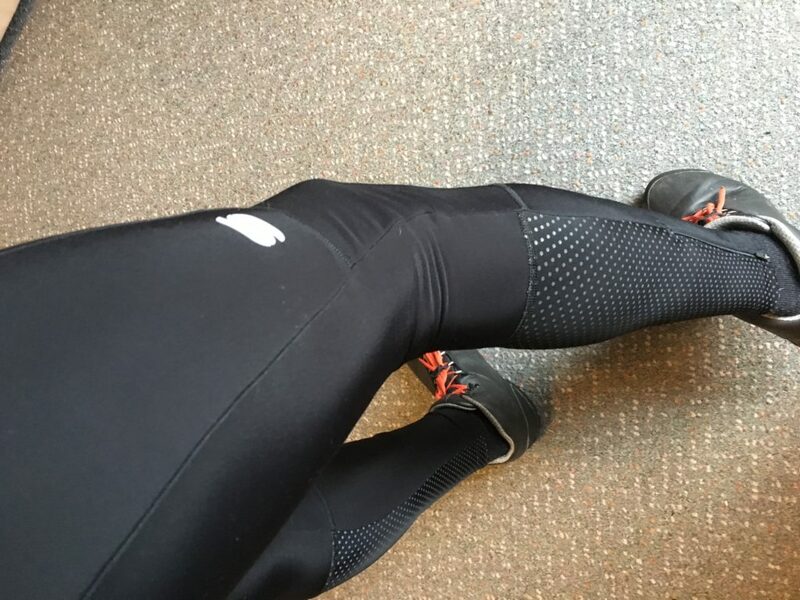 Whether used alone, or as a layering piece in colder (<30 deg F) conditions, the Total Comfort bib tights were top notch in the fit, comfort and function departments. The fit of the Total Comfort bib tights was top notch, but the snug fit required patience when dressing. The fabric is soft and fleecy on the inside, with a smooth exterior finish and durable stitching throughout. The thin, minimal bib straps worked well once in place, but were a bit of a challenge to keep from twisting when dressing for a ride. This was a minor annoyance at most, and once in place, the straps were comfortable and worked as intended. MSRP of the Total Comfort Bib Tight is $229.99. Yes, that’s a lot of money for a pair of cycling tights, but considering they’ve become my preferred go-to tights, the value is easy to see for me. So far, durability has been good as well, but if that changes, we’ll let you know. GREAT FOR LAYERING OR ALONE ON WARMER DAYS CONCEPT: Identical to our pro team model, the brushed fabric and the precision tailored cut with keep you warm and comfortable. The BodyFit Pro thermal jersey is marketed as being the same as their pro team kits, and from our experience, that’s a very good thing. The fitted cut is snug, but feels perfect on the bike, and the fabric is warm yet extremely breathable. This makes it a great piece on warmer days (45-60-ish degrees), or as an insulating (mid) layer on colder days. The YKK Vislon zipper deserves special mention as well. The function and ease of use is a step above most other jersey zippers I’ve used, and the wide-tooth design looks like it’ll easily stand the test of time. One of my biggest pet peeves are chintzy zippers, so I was stoked to see Sportful’s quality zipper selection on the BodyFit Pro jersey. MSRP of the BodyFit Pro Thermal Jersey is $149.99, which seems very fair considering the style, fit, feel and durability of the piece. From the Sportful website: TOTAL WATERPROOFNESS IN A WARM THERMAL GLOVE CONCEPT: These will see you through the worst winter weather. The pre-curved shape made the Fiandre gloves feel great on the bar. The lack of an adequate snot wiper is about the only thing MG wasn’t thrilled about. The Fiandre gloves are designed to excel on cold, damp days in the saddle. The OutDry membrane and neoprene cuff keep the wind and elements out, while the warm fleece lining provides warmth and moisture management. The synthetic palm is covered with lines of silicone, which enhances grip in cold and moist conditions. When combined with the aggressively pre-curved shape, the Fiandre gloves provide great bar feel. 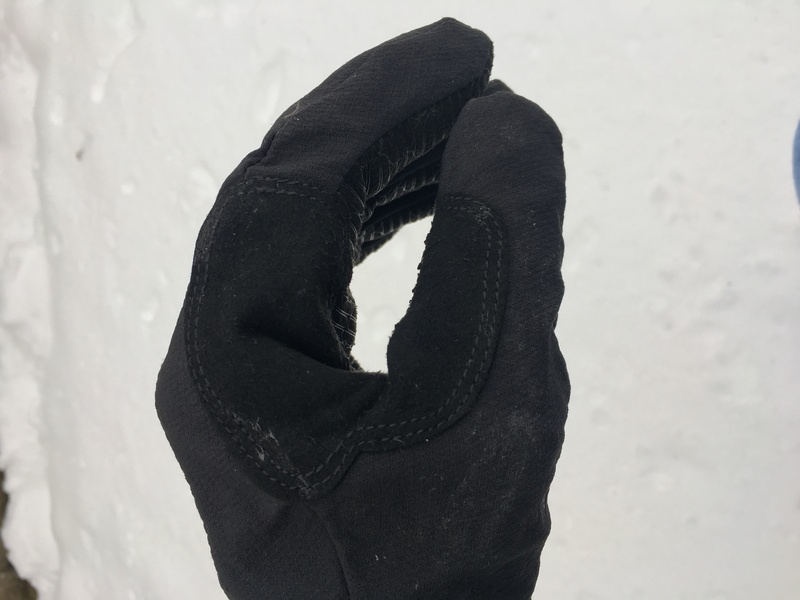 They don’t have the bulky feel I’ve experienced with other winter cycling gloves over the years. On the other hand, the OutDry membrane isn’t quite as effective at transferring moisture/sweat out of the glove as other, less water resistant materials. The tighter sealing neoprene cuff probably doesn’t do the glove any favors in terms of breathability either. I suppose that’s the price you pay for a totally waterproof glove. That makes it a great addition to the quiver, but it excels in the conditions for which it was made: cold, wet rides. The Fiandre gloves were pretty versatile in terms of temperature range. I rode them with only minor finger discomfort into the mid-to-low 20s, and with Bar Mitts, could use them on even colder rides. 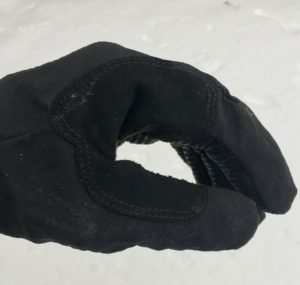 That said, when using Bar Mitts, I often chose a more breathable glove, such as Bontrager’s excellent JFW winter glove. MSRP of the Fiandre Gloves is $99.99. ULTRALIGHTWEIGHT TOTAL PROTECTION CONCEPT: Jacket offering similar wind and water protection to our Fiandre Extreme, but lighter and more comfortable in moderate temperatures. Total protection from the weather, thanks to the material and the strategically positioned taped seams. Taped seams make the Fiandre Ultimate 2 WS jacket impervious to the elements, and the lightweight material makes it easy to pack along on rides. Much like the Fiandre gloves reviewed above, the Fiandre Ultimate 2 WS jacket is designed to excel in cool, wet conditions. The Gore Windstopper fabric and taped seams effectively block wind and water, making it an ideal outer layer on cooler (but not below freezing), wet rides. I don’t look at the Fiandre Ultimate 2 WS jacket as so much of a winter jacket as it is a great outer layer for windy, moist spring rides. Unlike other roomier, less fitted jackets, the the Fiandre Ultimate 2 WS jacket’s snug fit is at its best with a base layer and the BodyFit Pro thermal jersey (reviewed above) underneath. There simply isn’t room for anything else. As such, if you’re buying this jacket as an outer layer for winter conditions, consider sizing up (see note below). MSRP of the Fiandre Ultimate 2 WS Jacket is $279.99. As many readers know, European clothing brands tend to run smaller in size than American brands. At 6’1″ in height and 165 lbs, I’m typically a medium in Patagonia, Bontrager or Pearl Izumi gear. In Sportful sizing, I used size large tights, which were a great fit, and large jerseys, which were on the tight side of good, which is how a fitted garment should be, IMHO. That said, I’d have probably gone with an XL in the Fiandre Ultimate 2 WS jacket in order to better utilize it as an outer layer on cold days. As always with any clothing, it’s best to try before you buy to ensure you’re getting the fit you seek. The performance on the bike is worth the effort up front. 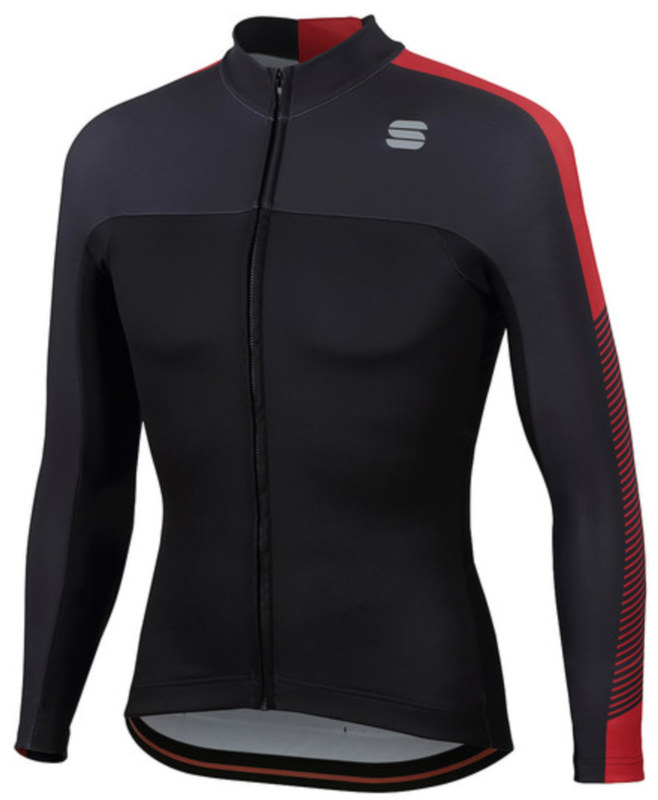 Based on my impression of the pieces I evaluated, I can confidently say Sportful makes some top notch cycling gear. Each of the pieces tested exceeded my expectations with respect to performance. In fact, the Total Comfort Bib Tights, BodyFit Pro thermal jersey and Fiandre gloves remain in my regular rotation today, and I feel fortunate to have such great kit in my arsenal. Come spring, when it’s a little warmer and I can get away with fewer insulating layers, I’m sure the Fiandre Ultimate 2 WS jacket will become an oft-used piece as well. Are you a fan of true pro-level performance and fit in your cycling clothing? 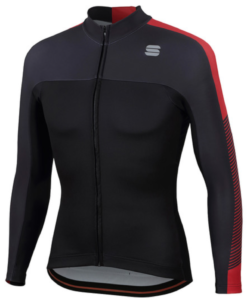 If so, head over to Sportful.com and give their line a look. If you’re anything like me, you’ll be impressed. 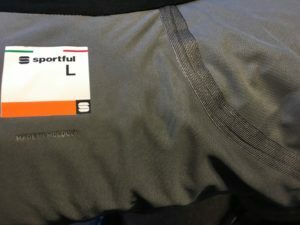 Note: Sportful sent their gear for test and review at no charge to RidingGravel.com. We are not being paid, nor bribed, for these posts and we will give our honest thoughts and opinions throughout.